Live engagement on social media can help your business provide a better customer experience and increase sales conversion rates. According to a survey by Statista, nearly 2.62 billion people have active social media accounts worldwide today. The high tech industry has long understood that targeted ads and social media campaigns are powerful tools for driving brand awareness and sales. However, despite the fact that social media drives more traffic to a website than organic search, conversion rates are still extremely low. In fact, according to AdWeek, social media traffic has an average conversion rate of 0.71 percent, with organic search converting at 1.95 percent and email at 3.19 percent. Some high tech companies are very successful in creating communities and developing a strong following on their social media accounts and this is definitely the first step to increasing conversion. But how do you use these communities to build customer loyalty, provide a better customer experience and increase sales conversion rates? Live Engagement with customers is helping high tech companies to do just that. Companies who offer some form of live engagement from their websites and social media accounts are seeing that live chat facilities are significantly increasing conversions and helping to build – and retain - strong relationships with customers. Social media is providing the perfect vehicle for unhappy customers to voice their complaints. Research shows that for every customer who complains, there are 26 customers who are also upset but don’t say anything. These people will ultimately get fed up and take their business elsewhere. With that being said, research by Groove shows that happy customers might tell nine friends about their experience while unhappy customers, on average, tell sixteen. Proactively managing the response to your customer’s complaint in a timely manner is a great way to build a relationship with that customer. Use text chat to respond to the individual’s post but rather than continuing this conversation publicly, take the conversation private. An empathetic response with an invitation to a private conversation through a live link, which will expire in a specific time period, shows that you are attentive and responsive. If your customer engages, you have an opportunity to solve their issue and immediately improve the relationship they have with your brand. At the end of the engagement, ask for a post back to the same social channel with their positive feedback. We all think more positively about a brand that is seen to deal quickly and respectfully with negative feedback. Making existing customers happy can actually help you sell more than marketing to new customers as happy customers will do some marketing for you. Your engagements with consumers on social media should also be with customers that are reacting positively to your content or asking questions about your products or services. If possible, try to always respond to positive comments about your services or product by thanking them for being a loyal customer and expressing your appreciation for their business. The most important thing is timing. Social media is all about consuming ideas quickly, and you don’t want to lose the opportunity to build a relationship with a consumer. In addition to a speedy response, don’t forget to express empathy to your customers. Get more out of your social media ads and paid search with live engagement links. Most web banner ads and paid search results drive customers to a landing page, which then leads to your website and conversion pages. At each of these stages, there’s a chance that your customer will drop off the page, lose interest or abandon their cart. You can prevent this by engaging live directly from paid search or your social media ads. For highly targeted search keywords or social ads, use an embedded live engagement deep link to immediately start a text or video conversation with the prospective customer before they even get to your website. Your customers will have the opportunity to engage about specific products that they see advertised on your social media ads without needing to close out of the social media account and search your website for the same product. Build a market place on Facebook using ChatBOTs. This can be the same ChatBOT that you deploy on your website. Your ChatBOT can engage in a conversation with your customer on Facebook Messenger or any other social media account. Based on the customers’ interests, it can suggest relevant products to purchase. BOTs also have the capability to capture data on customer interactions, which is extremely valuable for making adjustments to your social media campaigns and improving future live engagements. With built-in integrations to your order processing system, your ChatBOT can conveniently enable the completion of a purchase right within your social media site. That's a win-win experience for both your customer and your business! 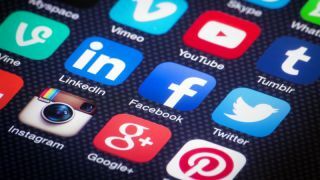 Research by ChatBOTs Magazine shows that more than a third of online consumers already prefer social media to telephone use for customer support. ChatBOTs provide 24/7 engagement opportunities to customers on social media, which will expand your company’s geographic reach and enable international shoppers to learn about your product. Once your ChatBOT is designed and deployed on your website and social media accounts, you can rest assured that your customers will be receiving consistent, timely service. This not only improves their experience with your brand but also reduces your cost of deployment and average handle time. Live customer engagement allows you to humanise your brand and create a personalised and timely experience for the customer, which is the key to driving conversion rate. Get more out of your marketing spend and avoid future customer drop-off by providing text or video chat opportunities with 24/7 ChatBOTs on every highly targeted marketing touch point, whether it be email campaigns, paid search, web and social media ads, or social media communities. These live engagement features have been proven to increase conversion rates by 10 times or more and significantly improve the customer’s satisfaction rate.